Good building, awful location. Where do these people walk to lunch? And dont say House of Pizza. They incorporated a great cafe w/ frequently changing menu and local art on its walls in the ground floor of the building for the employees and general public. 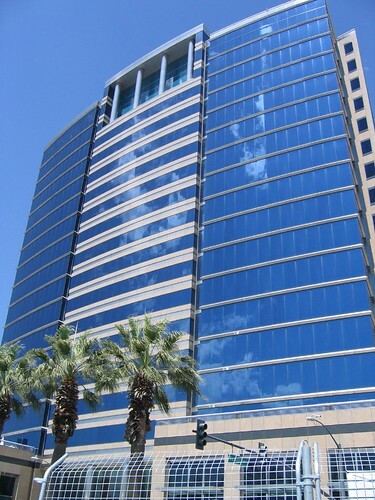 Wouldn't it be awesome if the Boston Properties project across the street got built and Oracle moved their entire operation down from Foster City to Almaden/SJ. I do agree that this area of downtown is currently away from the action (so to speak), but things should improve in the future with the ballpark spurring development on W. San Carlos and the eventual Boston Properties project itself.